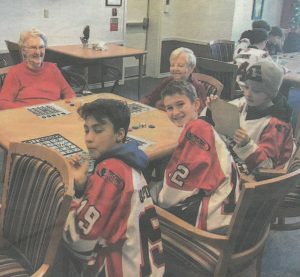 The Deep River Peewee Knights volunteering with the residents of the Centre. 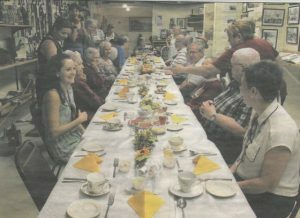 Residents, clients and staff enjoyed a very special outing last week at the School House Museum. 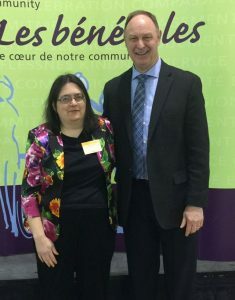 The Dementia Friendly Communities Initiative, sponsored by the North Renfrew Long-Term Care Centre, continues to make strides in providing local businesses and groups with training and insight into dementia and communication strategies. 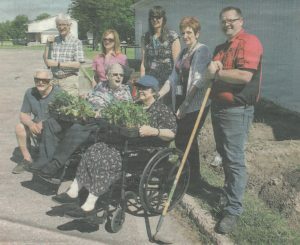 Day Program Clients helped with planting the garden at the Deep River Community Centre. 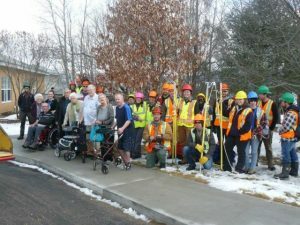 Students from the Algonquin College Forestry Program trimming the trees in the arboretum with the Adult Day Program Clients watching. 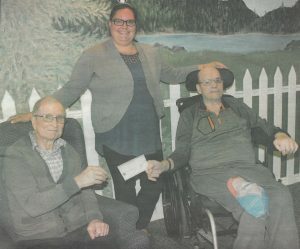 The Deep River branch of the Royal Canadian Legion recently made a presentation of $4,000 from it’s Poppy Fund to support the installation of a new generator at the North Renfrew Long-Term Care Centre. 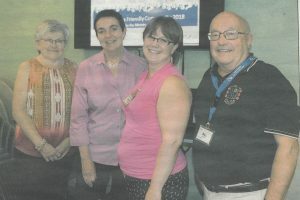 Making the presentation were Poppy chair Marion Chenette and Mary Jane Tonello of the Legion, to NRLTC resident Hilda Valiquette and board member Morley Taylor. 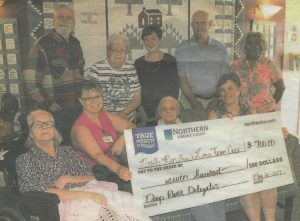 The centre has raised over $200,000 of the $305,000 for the generator, which supports not only the operation of NRLTC through power outages but allows the centre to be an emergency shelter for vulnerable seniors in the community. 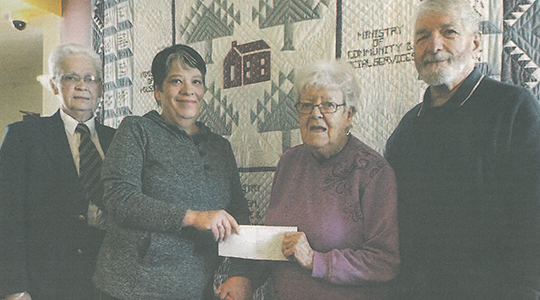 The Community Centre generously donated a harvested bounty to the residents of the Long-Term Care. 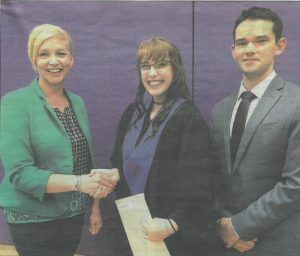 Northern Credit Union presenting a donation to the Centre. 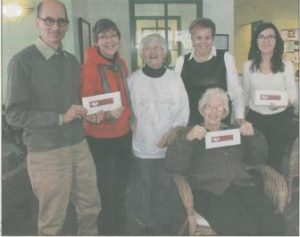 Residents accepting a donation from Jan’s Valumart. 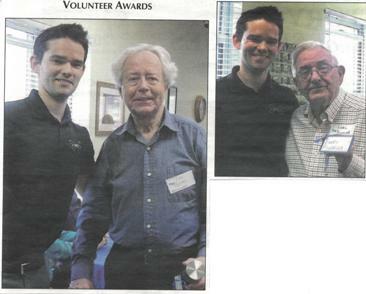 North Renfrew Long-Term Care Centre held their volunteer appreciation celebration on April 26. Mike Blore and Earl Ruhnke were awarded by Patrick Aikens, Board Chair. 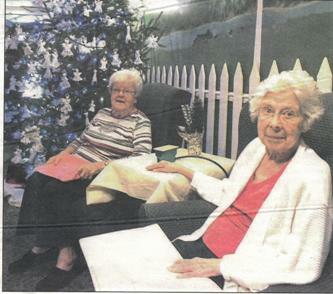 Hilda Valiquette and Edythe Lalor did the honours at the annual North Renfrew Long-Term Care Centre tree lighting ceremony. The Deep River CANDU Swim Club presented a donation to the Centre from proceeds raised by swimmers who participated in a swim-a-thon as part of a give back to the Community. Guests enjoyed the piano music played by volunteer entertainer Peter Boczar during one of the Centre’s Meals to Wheels luncehons. Last year’s Kitchissippi Run raised a total of $5,395 for the Centre. The group is gathered in front of the base of the Centre’s new generator, which was purchased partly as a result of financial support from the Run! In June each year, Ontario celebrates and recognizes the contributions seniors make to our communities. June 2016 marks the 32nd anniversary of Seniors’ Month in Ontario. 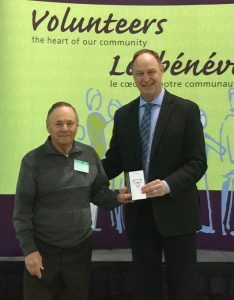 To recognize the important role seniors play in our communities, this year’s theme is “Seniors Making a Difference.” North Renfrew Long-Term Care Services Inc. benefits from the many hours that seniors volunteer to make the centre a great place to live. 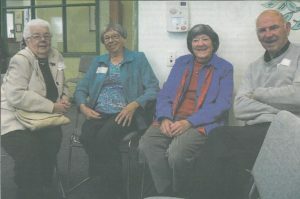 Among those who give their time, the Tuesday Tunes volunteers lead a sing-along every Tuesday morning with long-term care residents and even created a new song book. 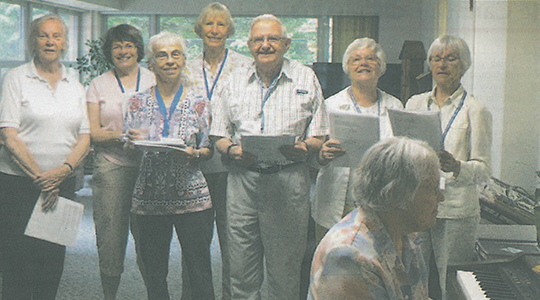 From left to right, volunteers: Sheila Blore, Caroline Lee, Madelaine Mageau, Margaret Miller, Earl Ruhnke, Fran Dugle, Gene Lemieux and Colleen Archer on piano. 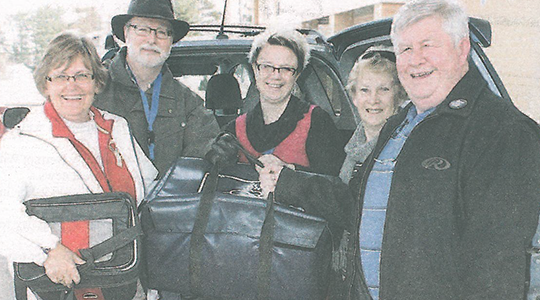 Deep River Mayor Joan Lougheed, left, and Laurentian Hills Mayor John Reinwald helped volunteer drivers David Dunford and Lucille Christie deliver ‘Meals on Wheels’ to area seniors. Shannon O’Connor, community support services worker/volunteer co-ordinator, centre, sent them on their way with the hot meals. 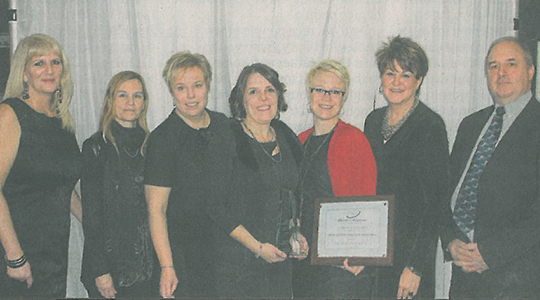 The North Renfrew Long-Term Care Centre (NRLTCC) was named the large business of the year at the Upper Ottawa Valley Chamber of Commerce 11th annual business achievement awards. 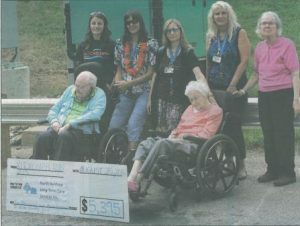 Here, starting from left, representing the NRLTCC are Dee Dee Laroche, Helen Esilman, Kim Rodgers, Michele Carlin, Shannon O?Connor and Donna Roach, who are standing with Mike Thompson, representing gold sponsor Renfrew County Community Futures Development Corporation. 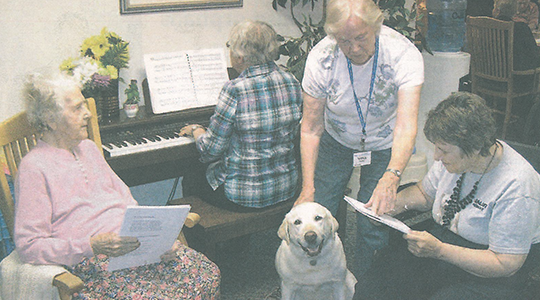 Sheila Blore, leader of the Tuesday Tunes sing-a-longs at North Renfrew Long-Term Care Centre, shows resident Sandra Jarbo the right page for the lyrics to “How Much is That Doggie in the Window” while resident dog Bella looks on. 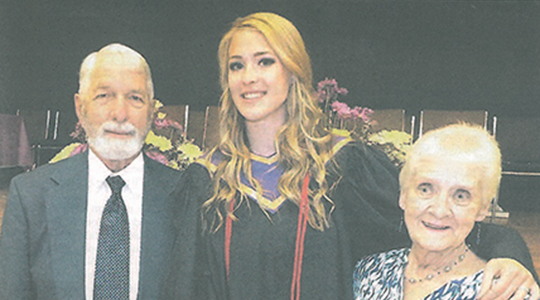 Carissa Leclerc was named the winner of the Johann Lallier Memorial Bursary at Mackenzie’s graduation ceremonies Friday. The award is presented in memory of Johann Lallier to a graduating student enrolled in a nursing program. Lallier shared her love for caring as a nurse for 19 years, 15 of them at the North Renfrew Long-Term Care Centre. Leclerc was presented the award by Morley Taylor and Shirley Lallier. 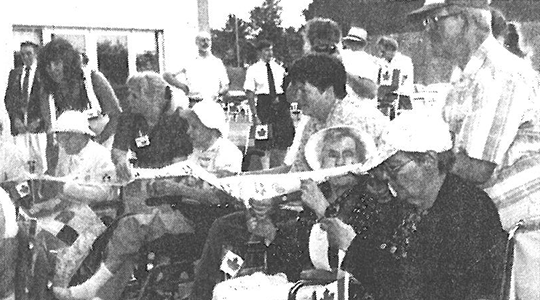 The centre’s residents and their families joined in the official opening of the new complex in June, 1994.